Whilst the vegan movement continues to gather momentum and most of this has occurred peacefully, there’s still the occasional old school militant vegans who think that the best way to get their point across is to attack outlets that sell meat. Let me tell you know, it absolutely is not. 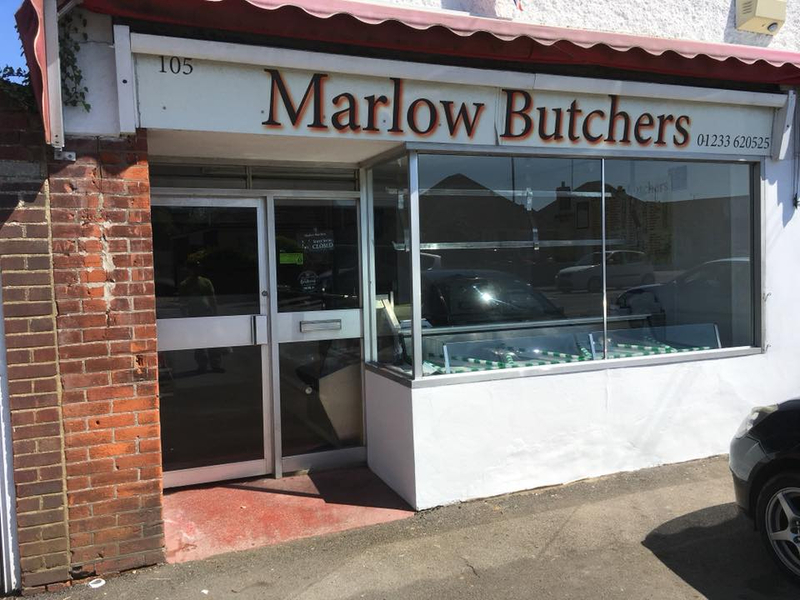 The latest target for vegan militants was the Marlow Butchers in Ashford, Kent who don’t really seem to have done anything to anger vegans aside from being a butchers shop. As you can see in this article, the place was vandalised by vegans with spray paint and also threatened with petrol bombs. On the internet it has been very threatening. It has got ridiculous – activists from as far away as Australia are getting involved. 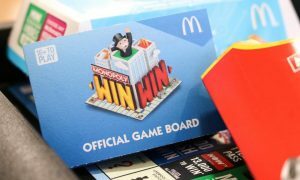 The internet is the worst thing as not only are they threatening to physically destroy our business, but they are also trying to ruin our reputation online, too, by leaving negative reviews and comments. They want to close us down and people are threatening to smash the windows or petrol bomb the store. We live in fear and we’re up worrying at night – they are terrorising us. We have been here for 54 years now since my dad took over the business and we are just supplying something that someone wants and is in demand. Every supermarket sells meat; we don’t get why they’re just targeting us. 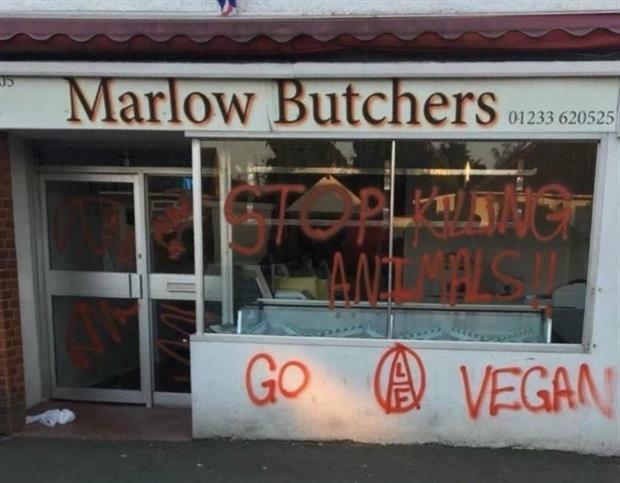 The threats are coming from people claiming to be vegans but they used superglue and paint when they vandalised the store, both of which contain animal by-products. We can’t thank the community enough. Everyone is trying to do their best to help us. We do not wish for this incident to cause any hatefulness to vegans. Please understand that this was probably the work of activists and is not a true reflection of vegans! Damn. It does sound like they’re being unfairly targeted as there must be a bunch of other butchers in the area that don’t seem to be affected. 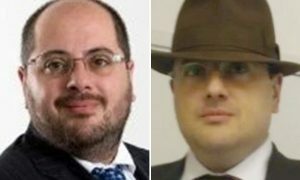 I could understand it if they were being assholes like that guy who ate a steak in front of some vegans to deliberately piss them off, but there doesn’t seem to be any evidence of that right now from them. In fact they’re not even being assholes to vegans despite all these threats, dealing with them pretty respectfully with the last sentence in their statement. The Marlows have reported the threats to Kent Police and they’re investigating all the allegations as of now so hopefully they’ll be safe, and hopefully meat eaters and vegans will be able to peacefully coexist. Yeah right. For more of the same, check out this woman who got vegan tattooed on her forehead. Too far.